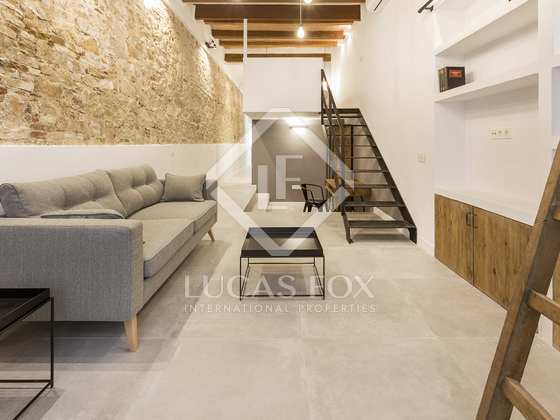 This magnificent renovated and furnished loft-style property is brand new and boasts modern design features. The property has direct access from a quiet semi-pedestrian street next to the Sagrada Familia, in an area that shall not be subject to town planning changes in the future. 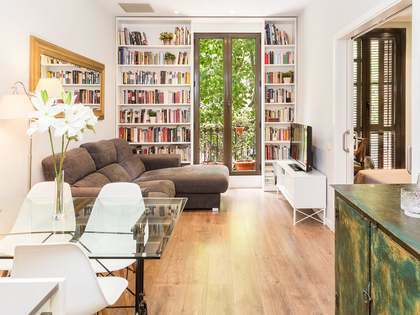 Upon entering, we access the living room directly. Itis a pleasant room with very high ceilings and windows that overlook the façade. 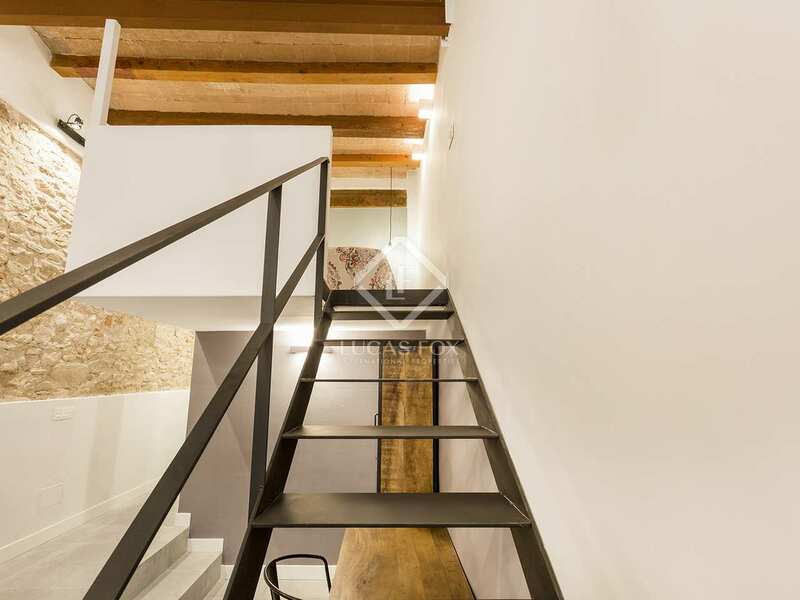 From there, we find 2 practical multipurpose spaces, one of them in a mezzanine, which could be used as a second bedroom and another in the lower part, which could be used, for example, as a studio. 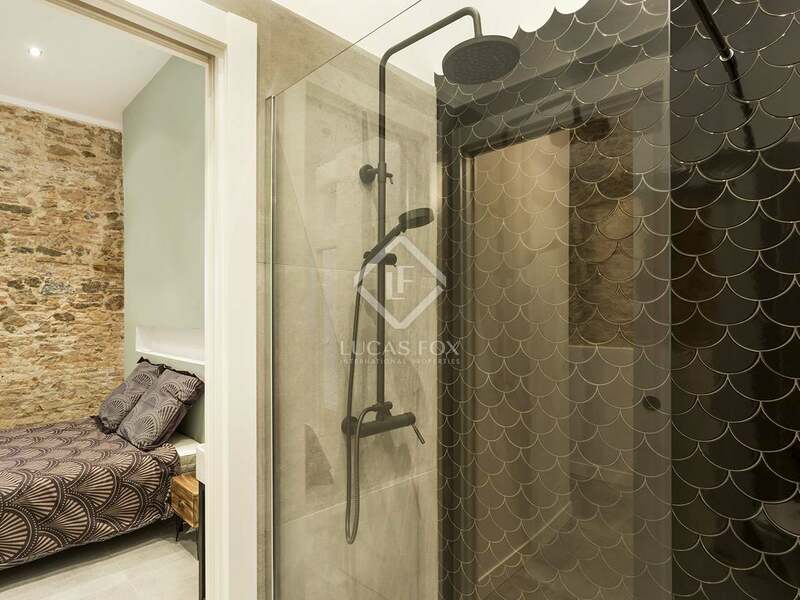 Moving on, a corridor leads to the utility area and a bathroom which, thanks to its double door and clever architectural arrangement, serves both as a guest toilet and as a private bathroom in the bedroom. 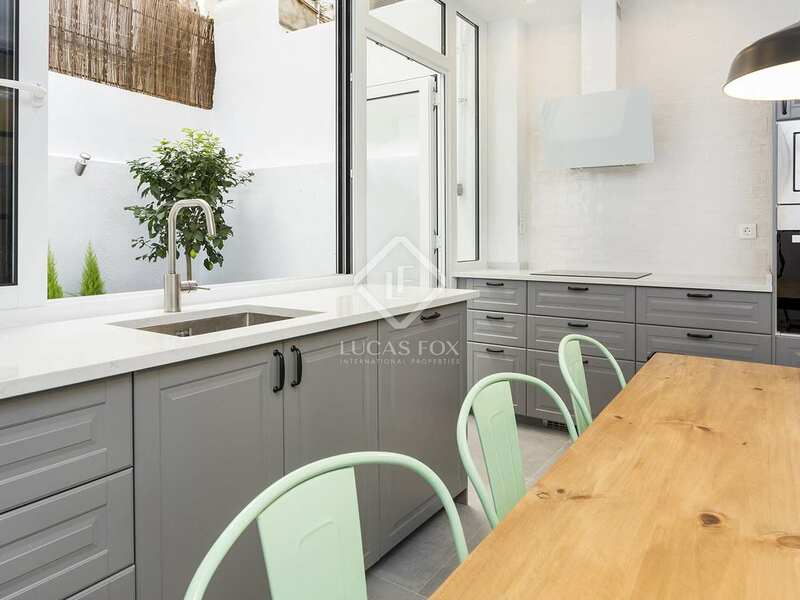 At the end of the corridor, the property offers a large equipped kitchen with plenty of work space and abundant light thanks to a large window with access to the patio, which has flower beds and lighting: the ideal place to relax after a long day or to enjoy a good breakfast on weekends. 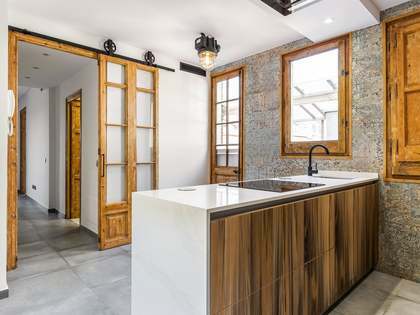 In addition, the beautiful silestone countertop in the kitchen continues outside, making a bar for the patio, to make the most of these 2 spaces. 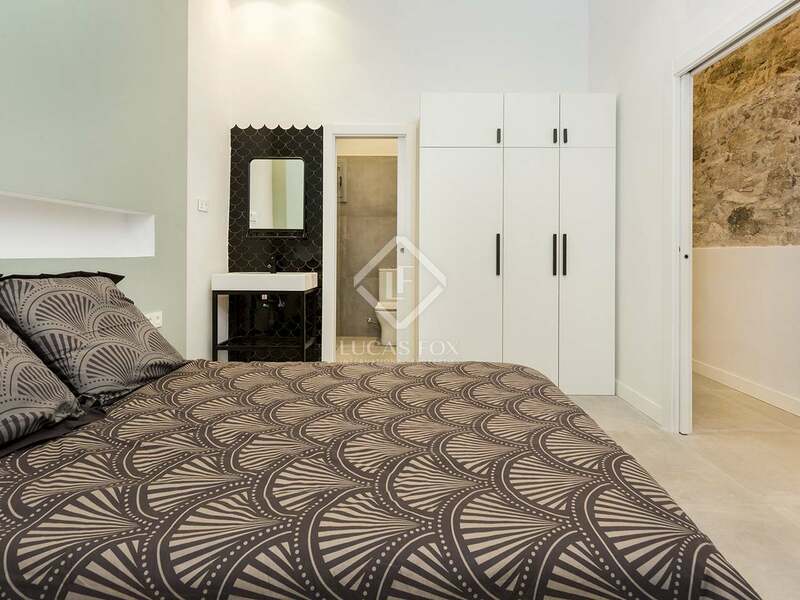 The property is equipped with 3 air conditioning units with independent hot / cold air machinery to ensure your comfort at any time of the year. 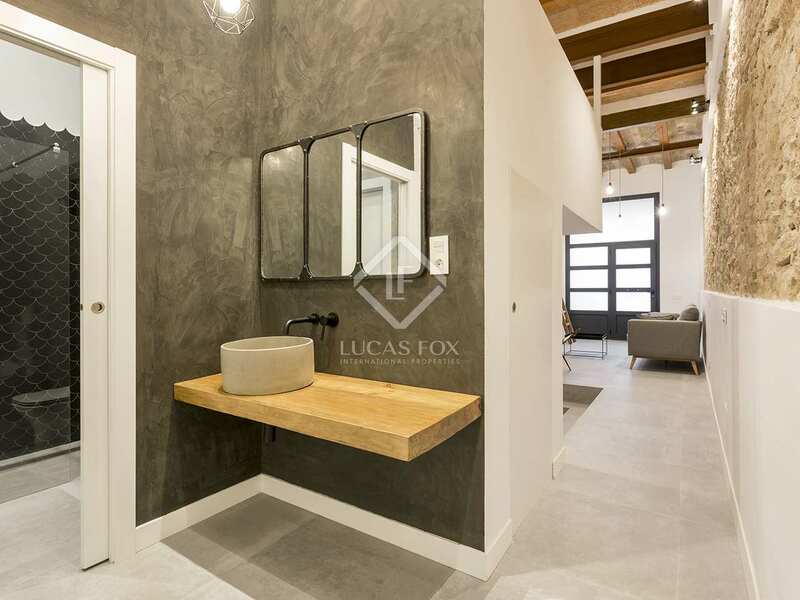 In addition, it has a certificate of occupancy. 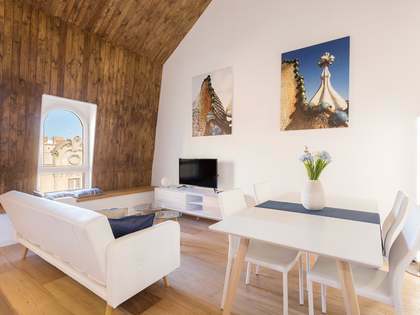 Contact us to visit this renovated and furnished ground floor home next to La Sagrada Familia. 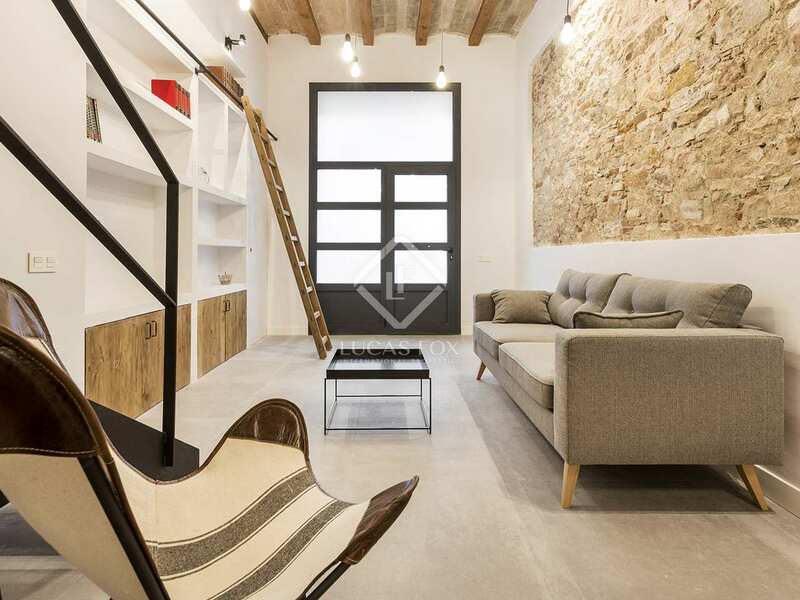 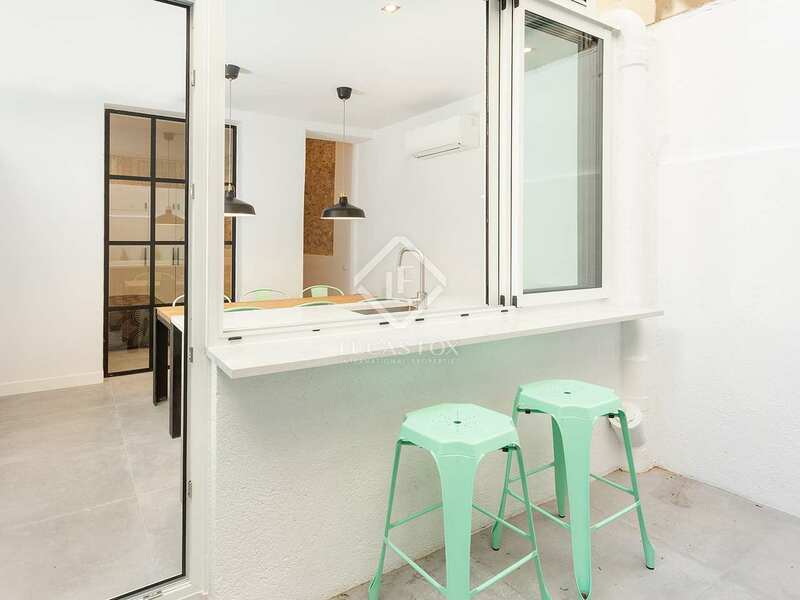 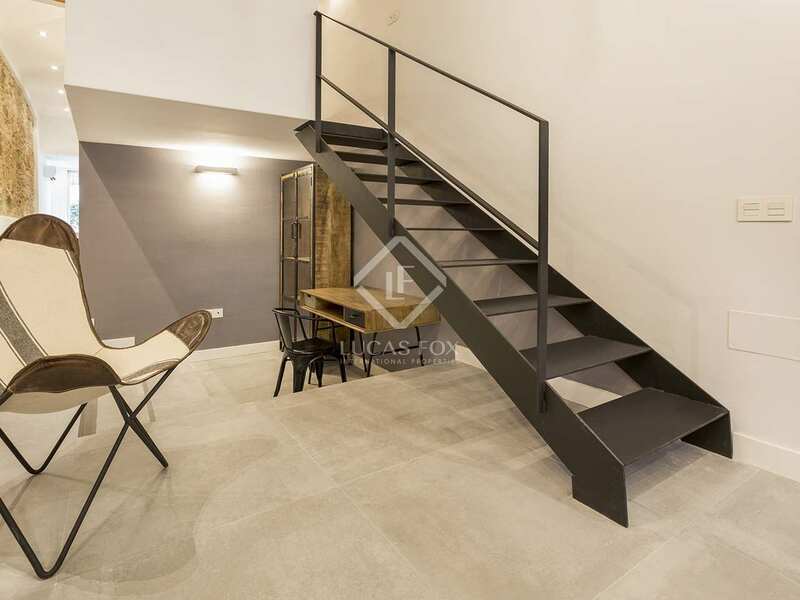 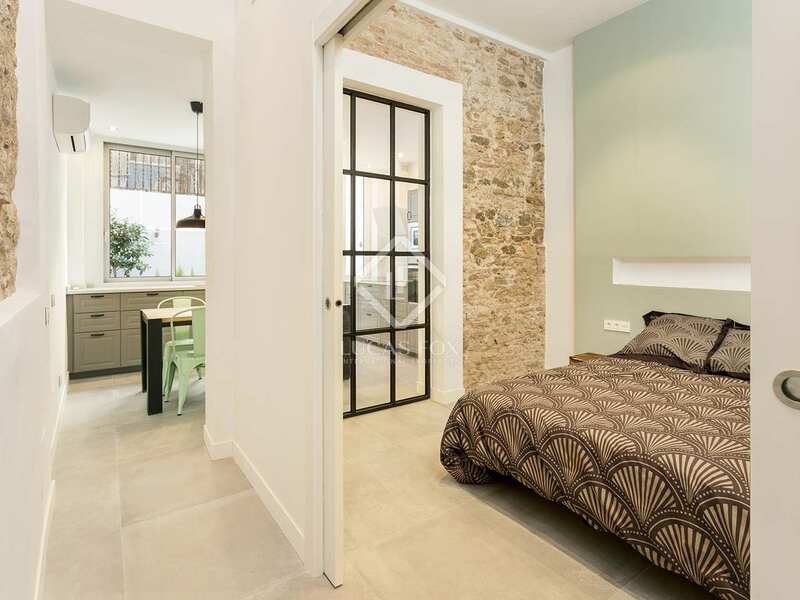 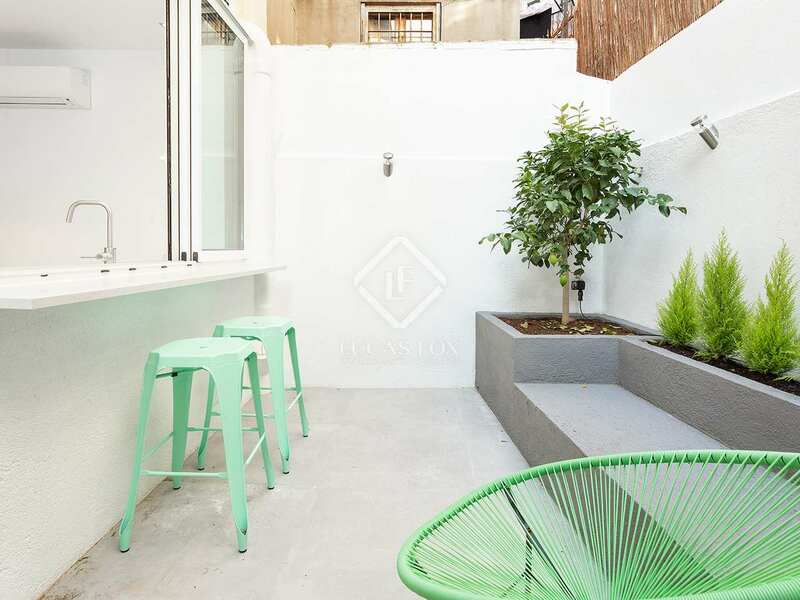 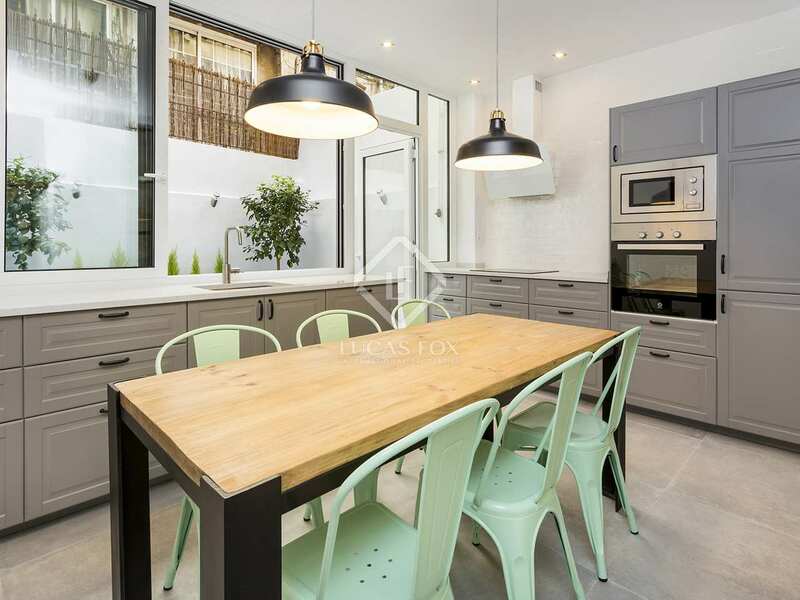 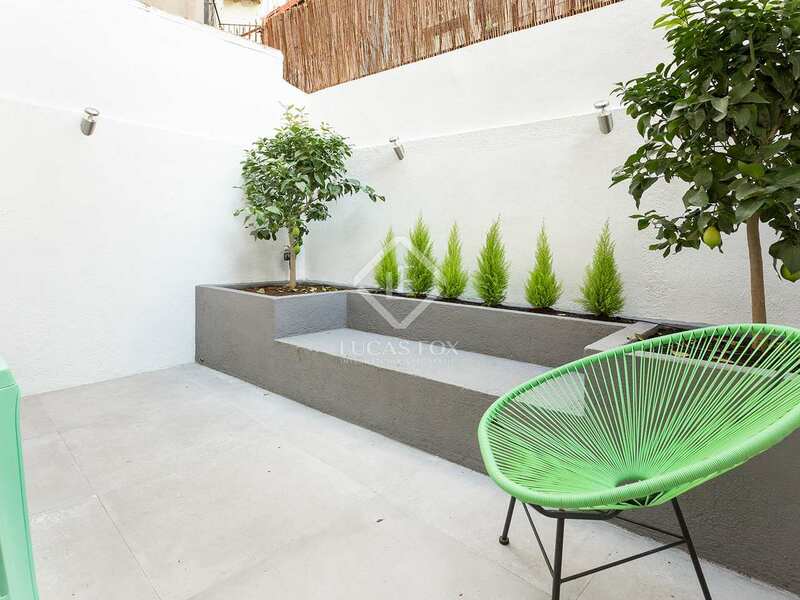 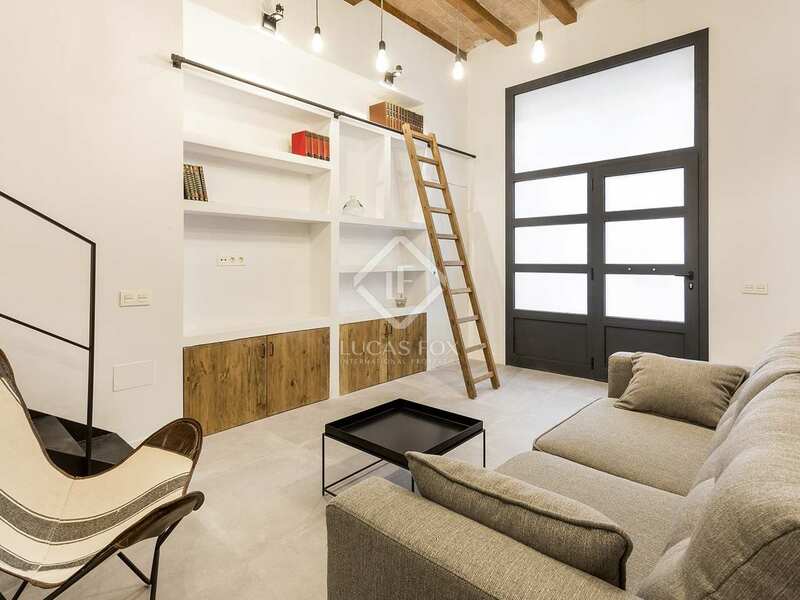 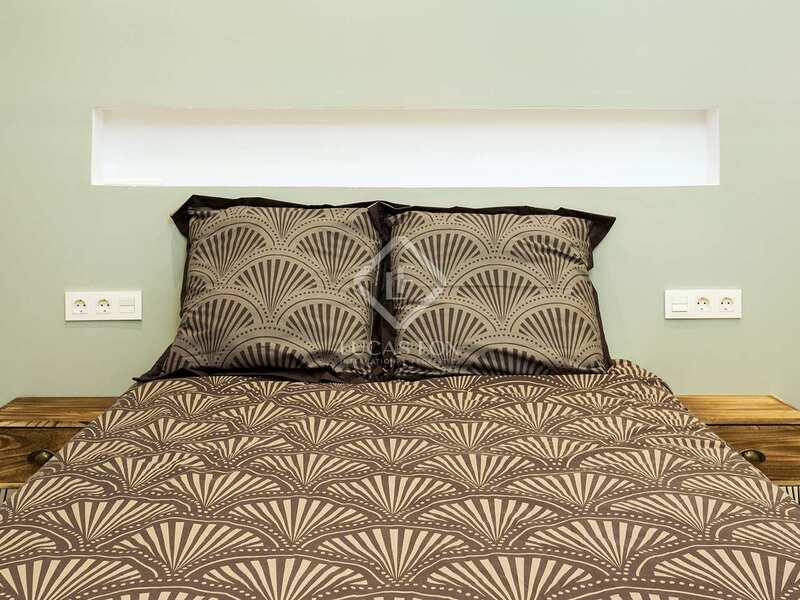 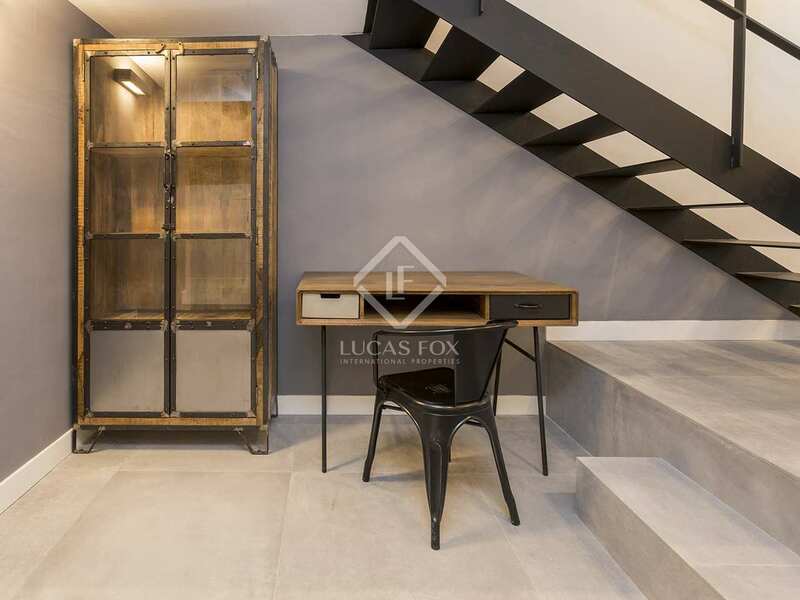 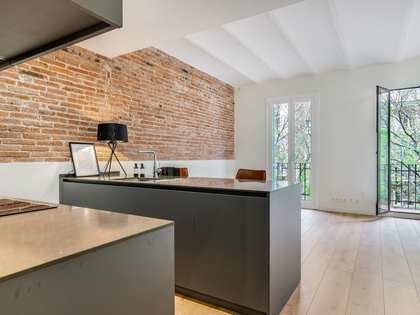 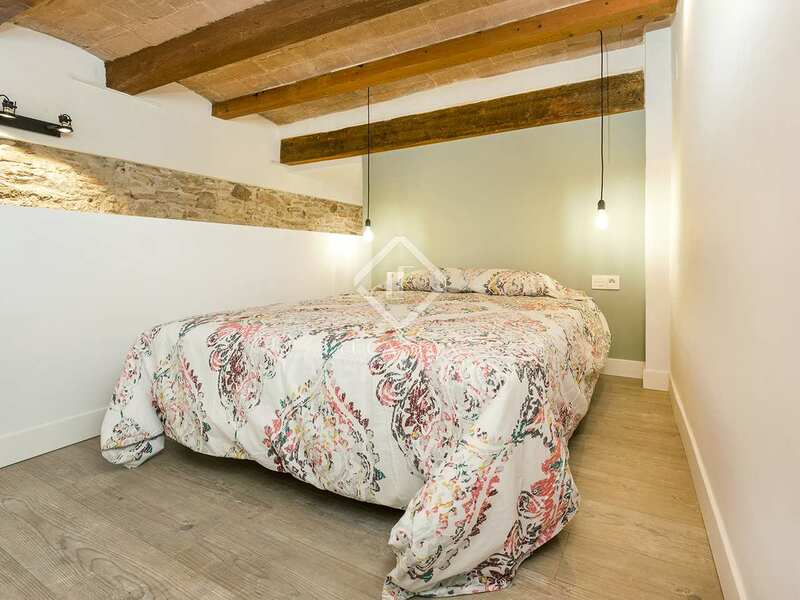 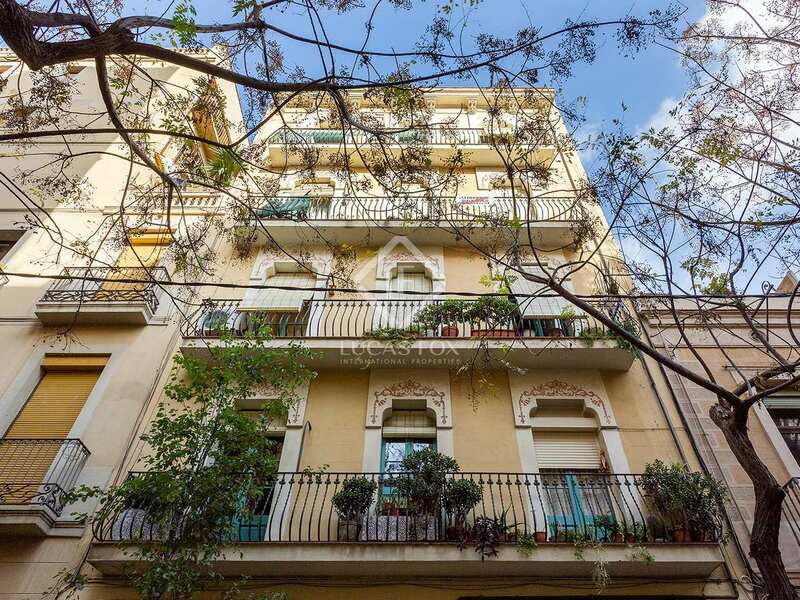 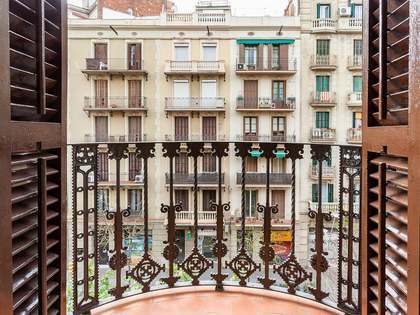 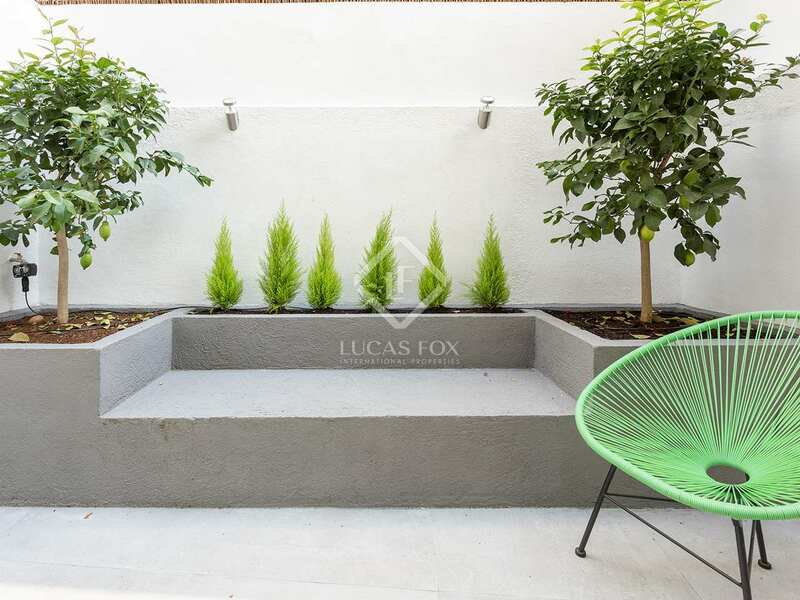 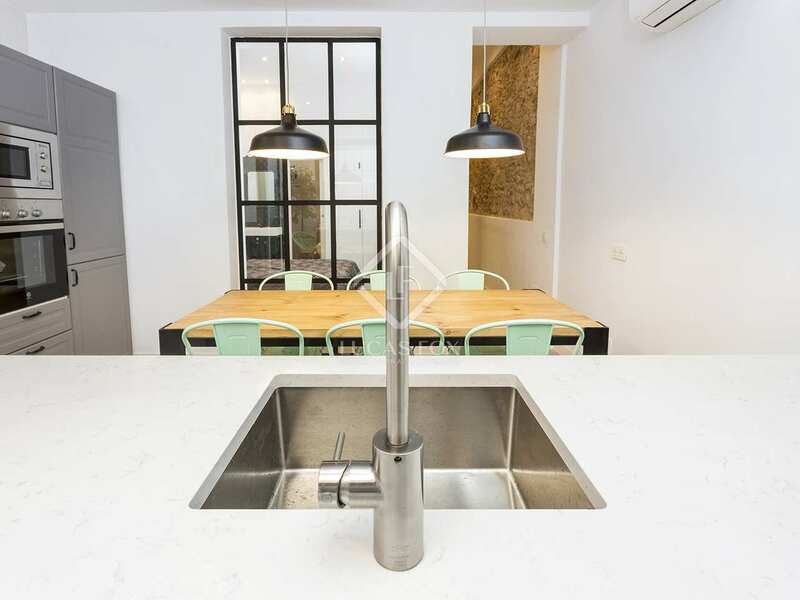 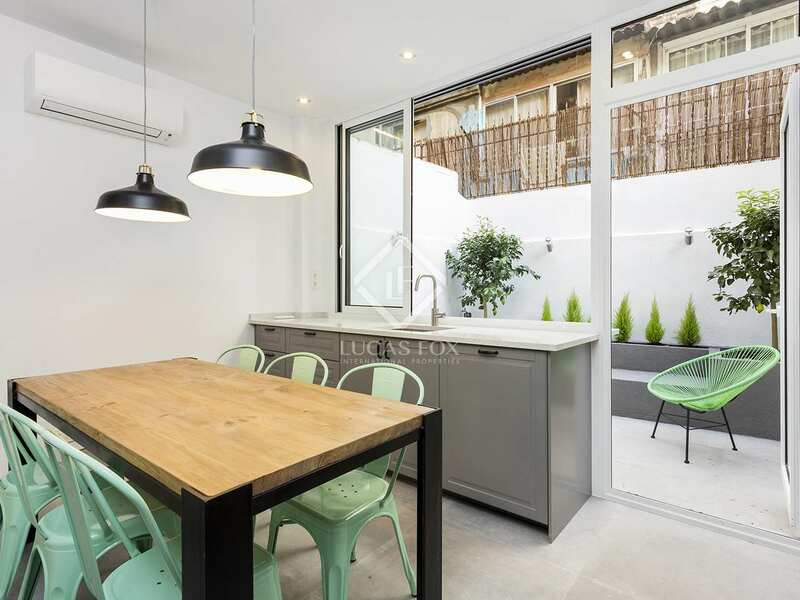 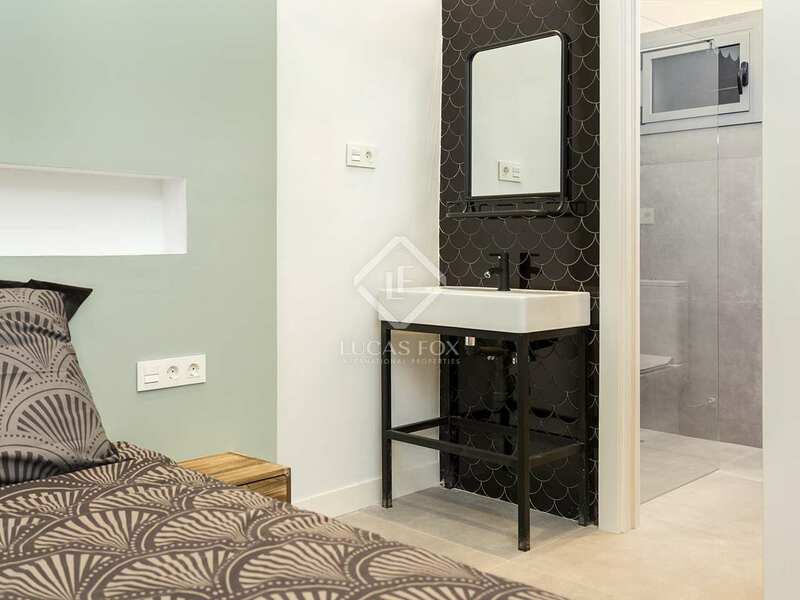 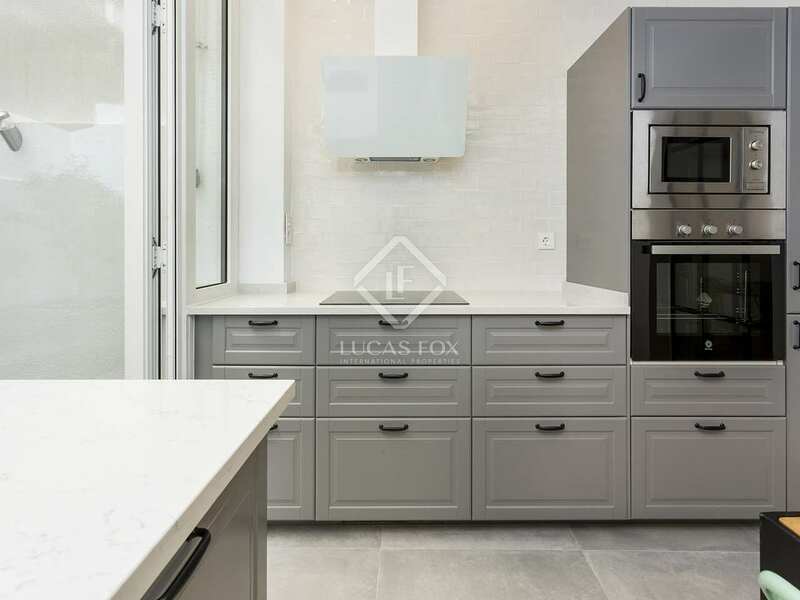 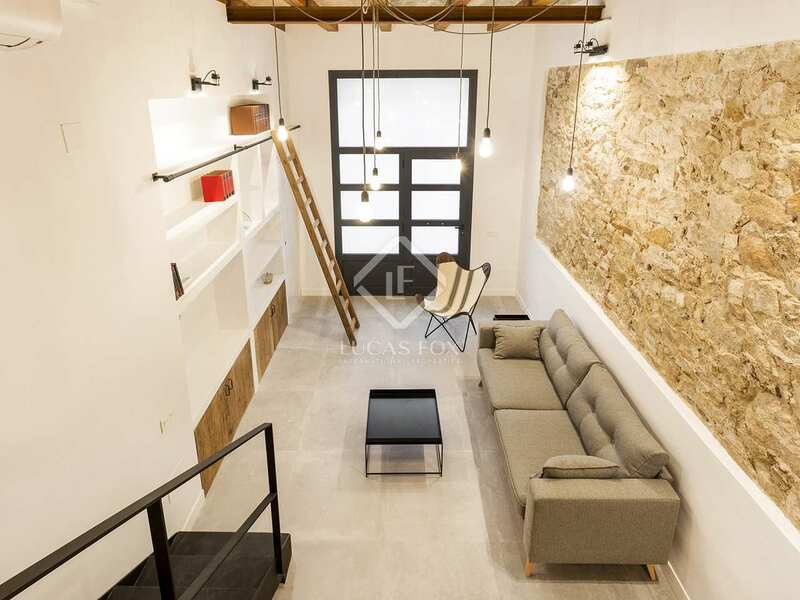 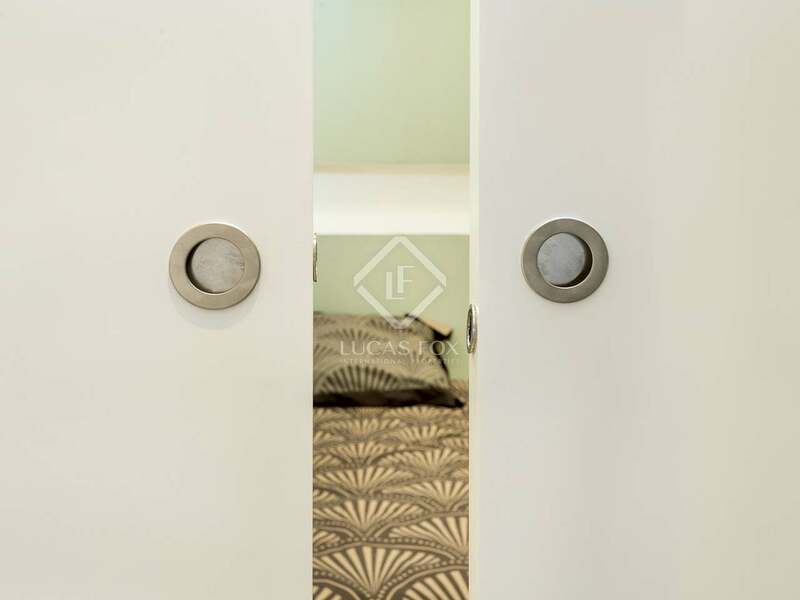 The property is located in Eixample Right, more specifically next to the Sagrada Familia park: an area of Barcelona that has maintained its traditional neighbourhood atmosphere. 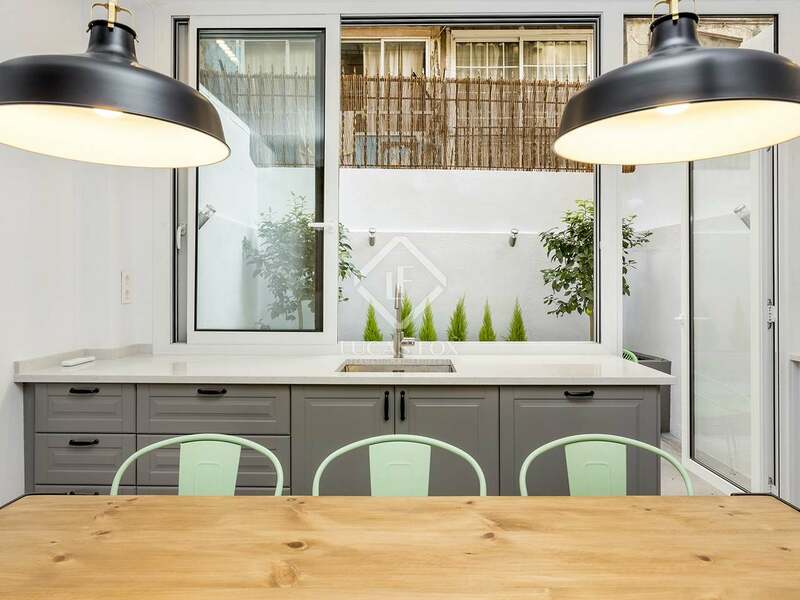 The property is in an area that shall not be affected by town planning changes in the future. 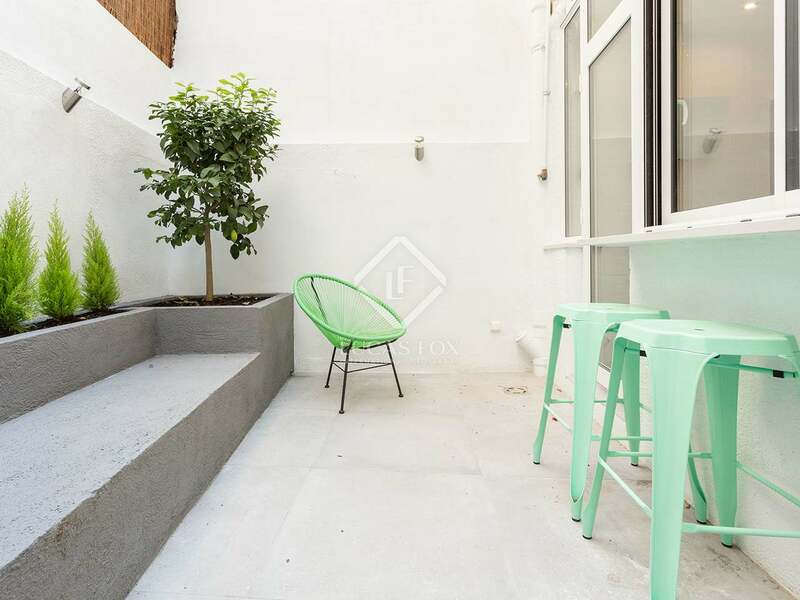 This neighbourhood offers all the necessary services for day to day living, such as supermarkets, shops of all kinds, pharmacies, hairdressers, health services, schools, etc. 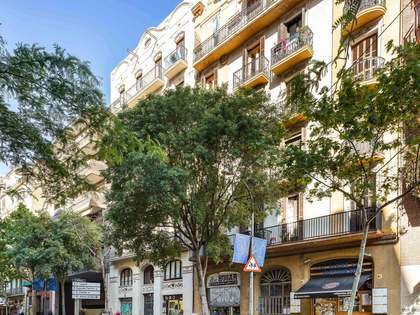 Furthermore, it has good public transport services such as buses and metros that connect with the rest of the city.